Hope you all are having fun, well i have been sick for 2 days with severe headache and fever but feeling much better now . I get these bad headaches once in while but really don't know why may be its because of the cold weather , but what i think is ,its due to the wisdom tooth that i am getting from years and still its not out completely ,i consulted a dentist,he said there is a small skin covering my wisdom tooth so when it grows it pushes that skin(jaw skin) and i get that pain.Dentist gave me medicine for tooth ache .But there is nothing that can be done for this as of now they want to give some-more time to my wisdom tooth to grow so i have to bear the pain till its completely out. He said if finally it comes out ,but the covering skin still doesn't move then he has to do a minor operation to cut the skin so that i tooth comes out fully fledged.I am so scared to do that as i am so scared of dentist's instruments and tools.I hate that drilling sound so badly it makes me cry . Hope if i bear little more pain it gets fine by itself.Well as of now the two days show is passed and i am better now.Back to my smiling face :). Finally today 4th FEB is my sweethearts Birthday ,i wish him a very happy birthday and i love him beyond Infinity. Update you soon with more Guys!! 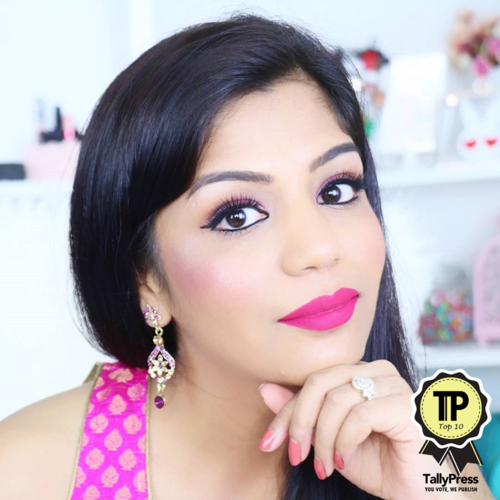 Celebrating love and affection,here is the two Valentine's day makeup tutorials. Check out my you tube channel and facebook page for current giveaways as well there is lot more to win.